An offer to purchase is enforceable under South African law once signed by both parties to the agreement. However, there are certain situations under which the contract may be declared void, and one such situation is when a suspensive condition contained within the offer to purchase is not met. A suspensive condition is a term or clause within a contract that clearly stipulates a particular criterion that must be met in order for the contract to come into force. Of course, such a condition must also not contravene any laws. Should the suspensive condition or conditions contained within an agreement not be met, the contract will be void. Typically, in a sale agreement, a suspensive condition relates to the approval of the buyer’s bond, the sale of the buyer’s current home or the purchase of a new home by the seller. These conditions are often included in a sale agreement for immovable property in order to protect both parties, since the timelines relating to the transfer of a property can be rather complex. For example, the buyer’s ability to purchase the house on the market may be dependent on receiving the proceeds from the sale of his current home. As such, it would be problematic for both buyer and seller if the contract and transfer of the property was to proceed if the buyer is unable to sell his current home and is consequently unable to pay the sale price. If the offer to purchase included a suspensive condition stating that the sale was pending the sale of the buyer’s current home, the lack of this sale would mean that this condition was not met and therefore that the contract in its entirety is void. It is important to note that in order to protect both parties to the agreement adequately, there is often also a time restriction attached to the suspensive condition. This means that if the suspensive condition is not met within a certain time (e.g. if the buyer’s current house is not sold within 30 days), the condition is deemed not to have been met and therefore that the contract is void. Should there be any such conditions on which the sale of a property is dependent, it is important to include these explicitly in writing in the offer to purchase in order for them to appropriately affect the validity of the contract. 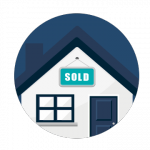 For advice on what conditions can and should be included in an offer to purchase to protect both the seller and the buyer, it is useful to consult with an experienced conveyancing attorney or estate agent.